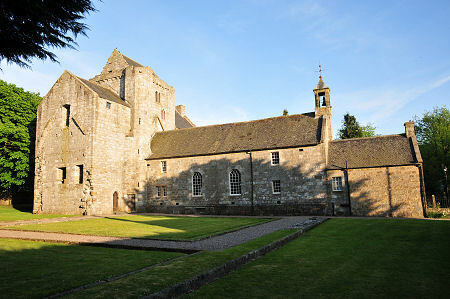 Torphichen Preceptory is an unusual remnant of a little known corner of Scottish history. 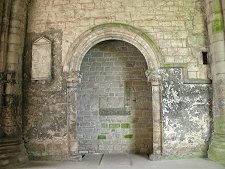 It comprises the tower and the two transepts of the church associated with the Preceptory of the Knights Hospitaller of the Order of St John of Jerusalem. The Order maintained just two such establishments in Britain, the other being in London. 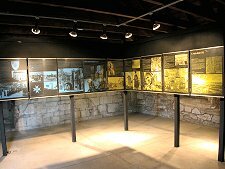 Torphichen is therefore the sole Scottish link with an Order whose name resonates through history: from its formation in the Crusades to its occupation of Malta in the face of Turkish siege in 1565, and beyond. The Order of St John of Jerusalem was suppressed in Scotland after the Reformation in 1560, but it was reconstituted here in a ceremony at the Palace of Holyroodhouse on 23 June 1947. 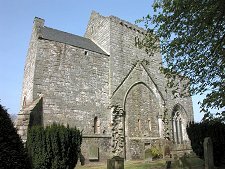 The Order first arrived in Scotland in 1132 at the invitation of King David I, and it was granted a charter to build a Preceptory at Torphichen in the 1140s. This was already a significant site. A church had been established here by St Ninian as early as 400AD and was said to have been visited by King Arthur during the 500s. The first church built by the Order probably became the choir of the later church: the now demolished structure to the east of the crossing, whose roof line and arch can be seen on the exterior of the current building. 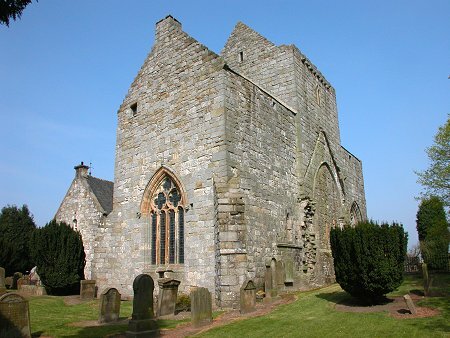 During the 1200s the core of much of what remains today was built: a cruciform church whose tower and transepts still stand, whose choir has gone, and whose nave was later demolished to make room for Torphichen Kirk. A number of domestic buildings were also built. 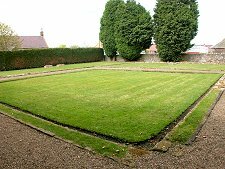 Before the Battle of Falkirk in July 1298, William Wallace had his base at Torphichen and used the Preceptory: and after the English victory Edward I came here for treatment of an injury caused by his horse. The Order of St John backed the English cause during the Wars of Independence and the Preceptor fought (and died) on the English side at Falkirk. In 1312 another Order of fighting monks, the Knights of the Temple or the Knights Templar, was dissolved by Pope Clement V for a range of charges trumped up by King Philip IV of France. 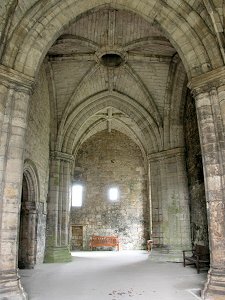 All of their extensive land holdings in Scotland, previously administered from their monastery at Temple, were passed to the Knights Hospitaller of the Order of St John, adding significantly to the property being administered from Torphichen. 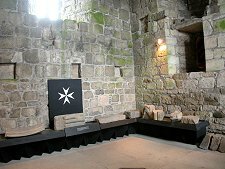 The Knights Hospitaller left the country after the Scots' victory at the Battle of Bannockburn in 1314. They later returned after a reconciliation with Robert the Bruce (see our Historical Timeline). The Preceptory was extended in the 1400s. The transepts were heightened to the form you see them in today. 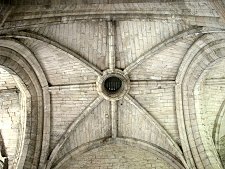 At the same time the domestic buildings were complete in the form of a cloister and surrounding ranges. 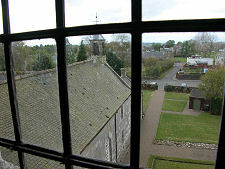 The Reformation in 1560 had less disastrous consequences for Torphichen Preceptory than it had for most religious establishments across Scotland. The last Preceptor, Sir James Sandilands, came from a family with extensive estates in the area dating back to 1348. He backed the Reformation and befriended John Knox. 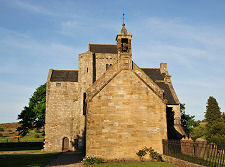 In 1563 he surrendered the Preceptory lands to Mary Queen of Scots, but then purchased them back on a personal basis, together with the title of Lord Torphichen, which he added to his existing Barony of Calder. 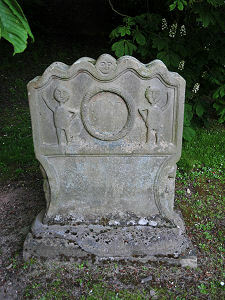 The Sandilands family seat was, and remains, at Calder House in Mid Calder, a few miles south east of Torphichen. The nave of the Preceptory became the Parish Kirk for Torphichen, but in 1756 it was demolished and its foundations reused as the base for the new T-plan Parish Kirk that now nestles up against the west side of the Preceptory. The domestic buildings were demolished and used as a quarry for other developments in the village. The tower fell into disuse over the following centuries, only being re-roofed in 1947. 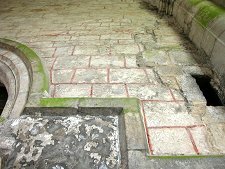 A visit to Torphichen Preceptory is a fascinating experience, allowing a glimpse into a little known and long gone world.